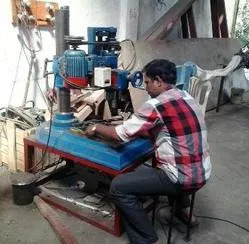 We, Ashish Engineering Works, located at Pune, Maharashtra, established in 2009 are one of the prominent manufacturers, suppliers and importers of a quality assured range of Heavy Fabricated Equipment. Our offered products include Storage Tanks, Industrial Blenders and Pressure Vessels. We have been able to carve a niche for ourselves by providing supreme quality, durable and corrosion resistant products. Moreover, within a short span of time, we have established a strong reputation and goodwill in this competitive market. We import our products from China. The state-of-the-art infrastructure of our company enables us to manufacture bulk quantities of products that match with the highest industrial standards. For this, our well developed manufacturing unit is fully equipped with advanced technology driven machines. Besides this, the entire manufacturing setup functions under the expert supervision of well-qualified professionals. 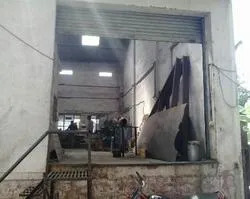 Moreover, we use only first grade raw materials in our manufacturing process. As far as quality is concerned, we ensure that our products undergo regular strict quality checks based on multiple parameters before they are delivered to the customers. Moreover, our expert logistics team strives to deliver each and every consignment in very safe, efficient and timely manner. Our vast clientele includes Benniger India Limited, Capporoo Engineering India Limited and Sprital Industries. Under the dexterous leadership of the our mentors, Mr. Sachin Gote, Mr. Pritam More and Mrs. Savita Kale, we have been able to set new benchmarks for the competitors. They always provide us proper guidance for enabling us to sculpt a sound professional image for the company in global markets. Owing to our ethical business policies coupled with client-centric approach, we have established a reputed name in this competitive market. Our team of qualified personnel is committed to perform to the best of its abilities. Due to the passion exhibited by our professionals, we have been able to carry out bulk production. The manufacturing process, tailored as per clients’ requirements, is carried out by our highly experienced R&D team with the use of state-of-the-art processing equipments. Besides this, our quality analysts always try to maintain standard level of quality using all kinds of latest testing equipments. 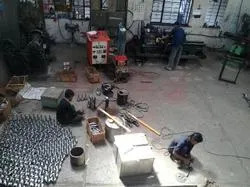 Moreover, from manufacturing to dispatching, our whole team takes care of the entire process in a coordinated manner. To attain client satisfaction is the main motto of our company and we enable this by providing utmost quality products. Being a client centric firm, we always strive to understand the specific as well as diverse demands of our clients and put in sincere efforts to fulfill them. Thereby, our offered products are widely demanded in various well-known engineering companies. Our world-class infrastructure is equipped with machines and tools based on latest technology that help us in standardizing our processes. Also, these machines have helped us in enhancing our performance and productivity. Due to this, we have been able to streamline our operations. 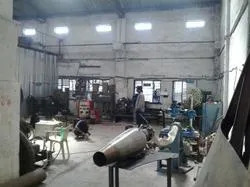 We also have an in-house R&D laboratory, developed as per the latest technology, where our qualified professionals put in continuous efforts to cater to the numerous requirements of our valuable clients. Our infrastructural facility is divided into multiple divisions for enabling maximum possible operational efficiency. Being a well-known name in this business sphere, our company strives to provide complete satisfaction to the customers. The company has a team of skilled workforce that enables carrying out of bulk production. Our professionals supervise the quality and timely shipment of the products efficiently to enable smooth functioning. Our products are highly recommended in engineering and allied hardware industries.